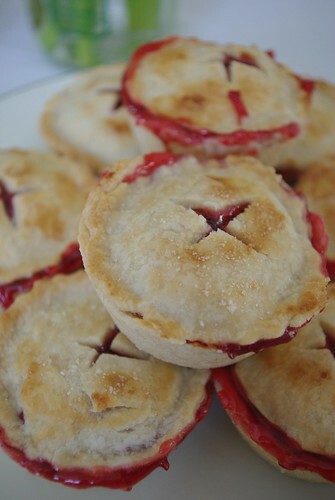 At a friend's request, here are a few tips on making cup-pies. 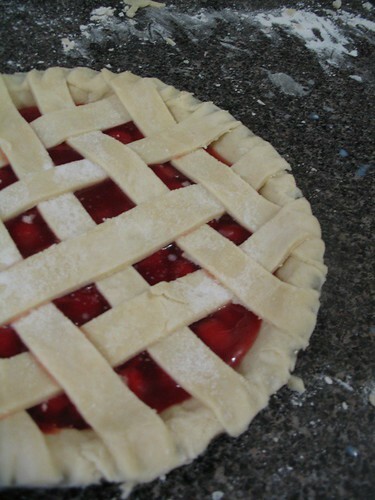 I'm generally able to get 10 cup-pies out of one regular pie's worth of crust and filling. 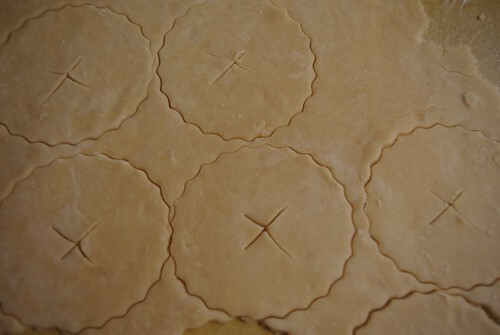 For the bottom crust I cut a 4-inch circle, and used a 3-inch biscuit cutter for the top. 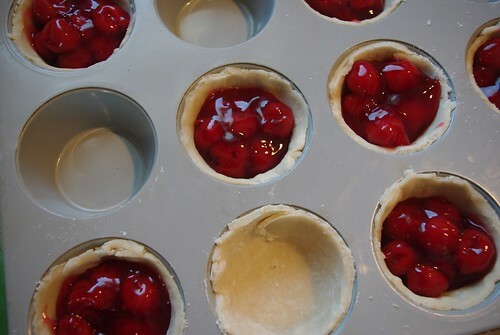 The thicker the bottom crust, the easier it will be to pop them out of the cupcake tin. There's no need to grease or line the cupcake tins at all. I probably overfilled these a bit as they leaked a bit during cooking, so a little under the tin rim is probably best. Don't forget to vent the top! For extra flair, I brushed the tops with milk and then sprinkled them with a bit of granulated sugar. I cook them at 350-375°F for 30 minutes, or until the filling bubbles. 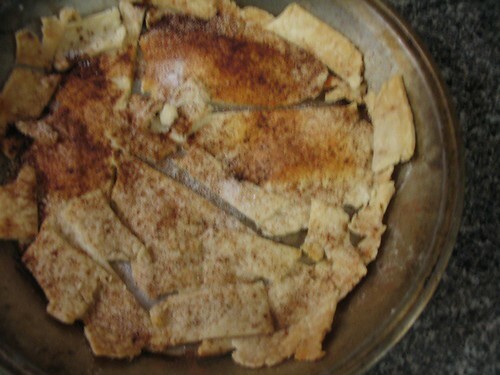 For this batch then broiled the tops for about a minute to get them golden brown.